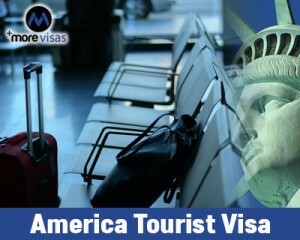 Home » America » What are The Relevant Steps to Apply for American Tourist Visa? This entry was posted in America and tagged america tourist Visa on May 23, 2015 by Blog Author. United States of America is a federal republic with 50 states and one federal district. It is the fourth largest country in the world, with the third largest populace and with large-scale immigration from many countries, being one among its typical characteristics. It is also one of the world’s largest capitalist economies with abundant mineral resources such as gold, coal and uranium. English is the most commonly spoken and most used language in the country. US is also the world’s most preferred country for immigration with multiple opportunities in all fields. It also has 60 types of non-immigrant visas. It also has thousands of accredited colleges and universities which are reputed, famous and well-known for the quality of education they provide. Its universities offer multiple programs, across a range of tuition fees and living costs. US education has now become truly affordable. Hence, international students with high goals and career ambitions often start their pursuits from the USA and flock there. As the admission and visa process of the USA country is not complicated, the US has the highest intake of international students in the world. Sports are an important part of US culture and the three most important/popular sports are American football, Basketball and Ice Hockey. Surfing, Mountain biking, Hiking, Dirt biking, Hang gliding and Rock climbing are just a few of the more popular adventure sports of US. The tourism industry in the US is very large and draws millions of tourists, year by year, all the year around. With tourist attractions such as the Grand Canyon in Arizona, Walt Disney world in Florida, Times Square of New York, Golden gate bridge in San Francisco, Yellow stone National park, Universal Studios Orlando, Niagara falls, Sea world Orlando, USA is the most sought after tourist destination. For travel within the country, excellent offers are available on Visit USA air passes, intercity Amtrak passenger rail and Grey Hound Road transport. It is always advisable to make prior arrangements to visit the tourist places to avoid long queue lines. All types of cuisine are available though out the nation. Shopping in USA is a sport with never-ending brands on offer in its numerous shopping malls and supermarkets. The American tourist visa process is also not complicated at all. All that the client needs to do is to provide information on finances and holiday plans. The typical duration of a American tourist visa is a maximum of 6 months and its validity period differs from case to case. Our expert team can guide and process the visa formalities, and also arrange for the required holiday package along with flight tickets landing, lodging, etc. arrangements, as per the client’s preferred and exact requirements. If you want to apply this visas, fill out Enquiry Form, so one of our visa expert will get back to you.